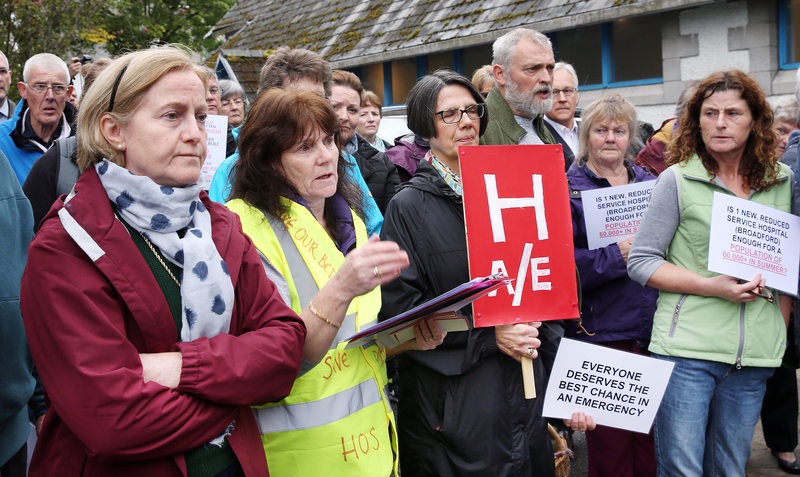 Catriona MacDonald (left) and Mhairi MacDonald (second from the left) have both been at the forefront of the SOS-NHS Skye campaign. 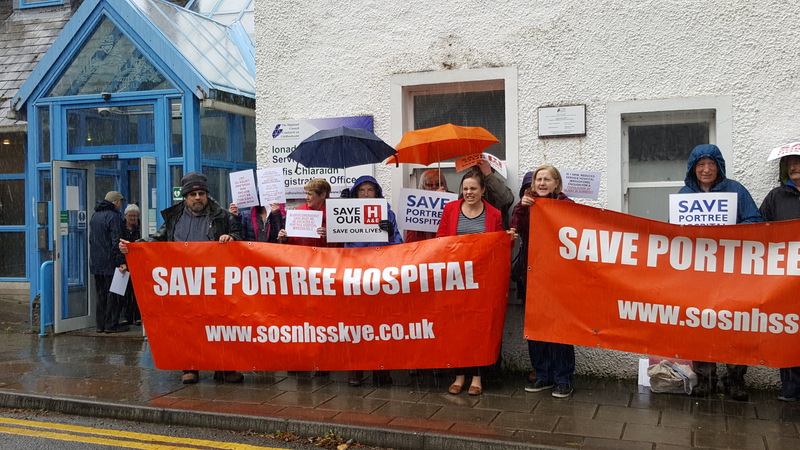 MSPs today agreed to keep open SOS-NHS Skye’s petition calling for the reversal of the major services changes to healthcare in Skye, Lochalsh and South West Ross (SLSWR) until the current review of out-of-hours care in the area has been completed. 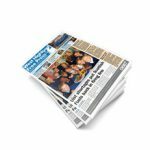 Members of the committee reached a consensus at this morning’s meeting that a further hearing on the proposed changes to healthcare in SLSWR would take place following the outcome of the independent external review of Out-of-Hours Urgent Care and Minor Injury clinical services which is being carried out by Sir Lewis Ritchie. Fellow committee member, Brian Whittle MSP said he was “uncomfortable with the way in which NHS Highland and also the cabinet secretary have conducted themselves” and said he felt that they had tried to hold the committee and petitioners “at arm’s length”. The committee’s deputy convener, Angus MacDonald MSP said: “There may be some merit in waiting for the outcome of the external review. It might be good to get back to that before we proceed anything further. Kate Forbes MSP (in red) stands with members of SOS-NHS Skye prior to a meeting in September. Kate Forbes MSP – who was in attendance for the meeting and has been heavily involved in the process – said she was pleased with the outcome of the meeting and also praised healthcare staff on Skye for their contributions: “I am pleased that the committee agreed to the cross-party suggestion to keep the petition open until the review is complete. Since the petition was first launched, out-of-hours provision has become more of a concern due to occasional suspensions. That is why the review being conducted by Professor Sir Lewis Ritchie is so critical. Appearing today for the second consecutive time at the committee over the petition, Edward Mountain MSP felt there was merit in keeping the petition open until the external review had been concluded: “I am very pleased for the people of Skye that the Petitions Committee will continue to consider the issue of health provision on Skye. 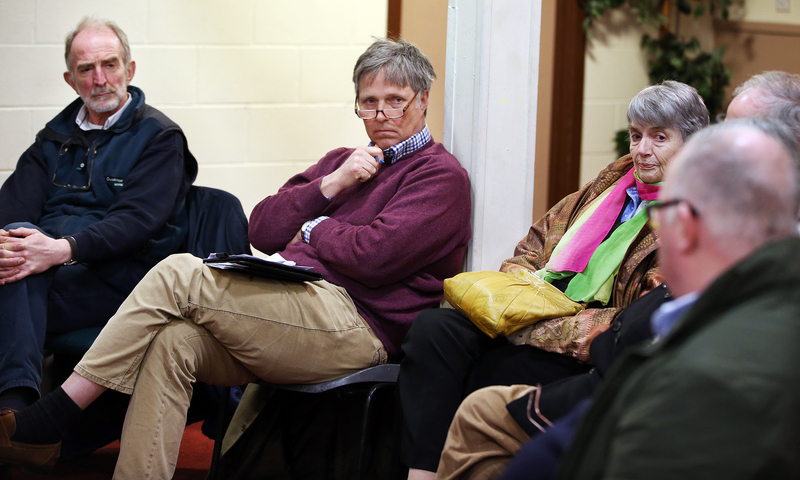 Edward Mountain MSP listens to members of the community during a recent healthcare meeting in Portree. 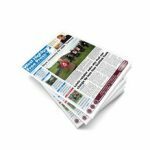 A spokesperson for NHS Highland said: “We share a common goal of looking to the provide safe and reliable health care for communities of Skye, Lochalsh and South West Ross. But is has to be sustainable and that is our number one challenge. This is why we need to redesign services across Highland including on Skye. Within the course of the external review so far, Sir Lewis Ritchie has met with a wide range of stakeholders including frontline emergency service staff, elected members and local organisations. He is expected to produce an initial report of his findings next month following a review and scrutiny of all the submissions, data and evidence.